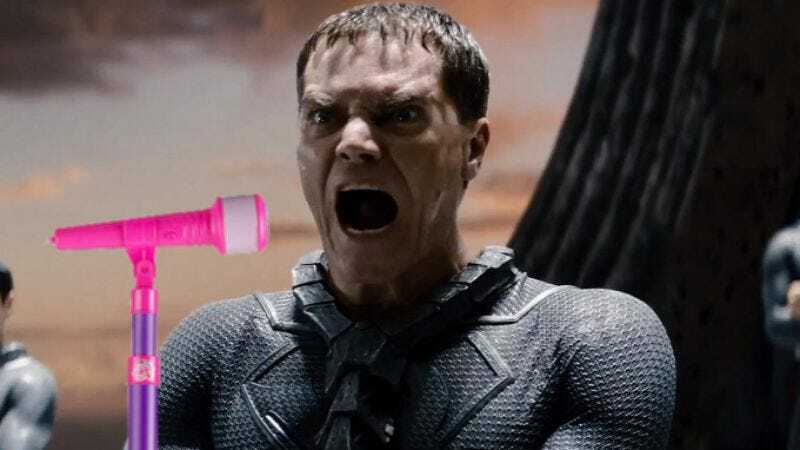 Michael Shannon is a talented actor, adept at playing diverse characters ranging from frothing psychopaths to people who are just a little bit off-kilter. Last night, though, he broke out of his usual box—possibly by staring a hole through it—to appear on Spike’s Lip Sync Battle, which is quickly becoming the go-to TV spot for actors and actresses to play around with their public personas through the power of music. Shannon opened with a spirited rendition of The Pixies’ “Here Comes Your Man,” doing his best impression of frontman Black Francis, if Black Francis was 6’3” and once laid waste to Metropolis. But it wasn’t until his take on R.E.M.’s “The End Of The World” that the actor really showed off the musical heart beating beneath his intimidating mien. Darting around a wreckage-strewn stage—in what we can only assume was a nod to his destruction-swathed roles in movies like Man Of Steel or Take Shelter—Shannon unleashed his inner Michael Stipe on the fast-cadenced song. Competitor Rachel Bloom (Crazy Ex-Girlfriend) did her best to fend him off, deploying a sexually explicit, acne-slathered version of Katy Perry’s “Teenage Dream.” But she was ultimately forced to kneel before Leonard Bernstein, as Shannon bounced all over the place in his most cartoonish performance since Premium Rush.